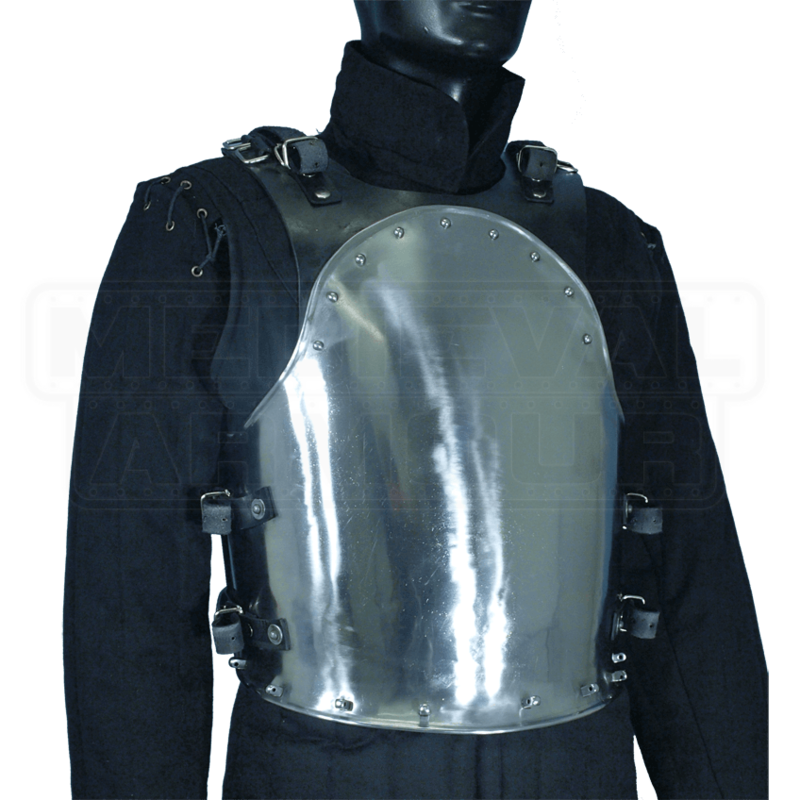 The Merc Cuirass is a unique creation combining leather and steel. The main portion of the breastplate is made of 18 gauge steel and has a nice shiny, polished finish. The shoulder area of the breastplate and the entire backplate are made up of 7-8 ounce medium weight leather. The way this backplate is made makes the armour extremely adjustable. The straps are on the backplate and the buckles are on the breastplate. The backplate is extra-long, so it will easily adjust up to a 48 inches. Tuck the extra leather into the breastplate to adjust for sizes as small as 36 inches. There are small steel pegs along the fauld of the breastplate. These are intended for attaching the matching Merc Tassets, which are sold separately. Available with black or brown leather, so you are able to match this item with your existing leather armour pieces. 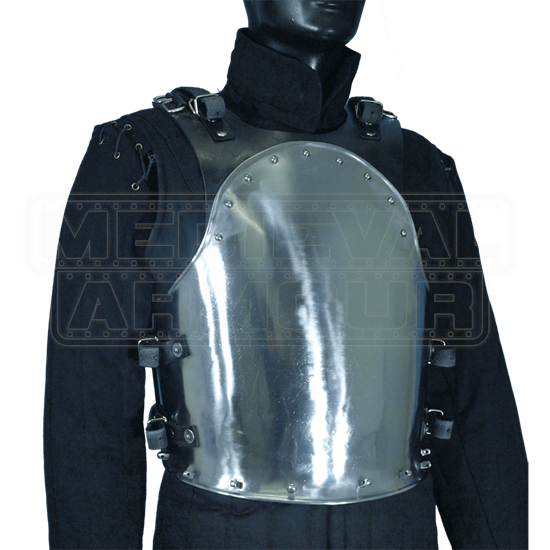 Best cuirass in the online market! Allows your hands to touch clap and also allows greatsword usage movements. Unlike fully steel shoulder cuirasses that handicaps clapping and greatsword usage. The shoulder parts of the,"merc steel cuiras", are leather. Which allows full arm movement, important is touching each other by clapping or two handed grip. I also bought the tasset, worth the money. Smexy pieces together. A great purchase for the price its listed at. Solid steel and leather construction and very adjustable to fit your size. I wouldnt use it in a full contact fight unless you dont mind a few dents.